This post is the second installment by Kristyn Zalota, Founder of CleanBirth.org, about her work in Laos. To read the first post in the series, “One Mom’s Mission to Save Lives in Laos”. Tahoy mother and 3 day old baby. Tahoy women have 8-10 babies, many of whom die. “Off to Laos! I am really doing this!”, I enthused in a text to a friend en route to JFK for my around-the-world flight. I was headed to a remote province of Laos to provide local women with Clean Birth Kits (essential birthing supplies: picture instructions, absorbent sheet, soap, cord clamp, sterile blade that prevent infection) and training on safe, hygienic birthing practices.It took me 48 hours to get to Thailand, due to a delayed flight, and I was worse for the wear on arrival. En route from Thailand to Laos, my stomach hurt from travel-induced anxiety, malaria pills were causing another kind of digestive distress and I was sleep-deprived. Plus, I didn’t really know where I was going: a cell phone number from my Lao partner organization, OVC, was my only information. Arriving in the Thai-Lao border town, Pakse, I obsessively dialed my contact for hours until she answered. Much to my relief, she picked me up and drove me from Pakse to Salavan, where OVC is based. My first day in Salavan, I knew that the stress and discomfort of travel were well worth it. I saw immediately, that the directors of OVC, Nong and Nyai, were women that I could work with. They are efficient, hard-working, committed and generous. For more than 10 years, they have been providing medical, educational and agricultural support to ethnic minorities in this remote region. They believe in empowering the local people: seven of OVC’s staff of twelve live in the communities and are ethnic minorities themselves. Kristyn and the trainees from Tahoy District. The morning after I arrived, we kicked off the Clean Birth Kits training. Nong and Nyai had decided that the Clean Birth Kits Pilot Project should initially target four community clinics in Tahoy District, home to the Tahoy people. The Tahoy live deep in the forest and their religious beliefs lead women to give birth alone. OV hopes that in addition to providing life-saving supplies, women and families will be educated about the need to assist laboring mothers. Four nurses, a District Health official, and OVC staff members traveled for hours on motorbike to attend the training. They were all-business and ready to learn. There was none of the giggling or unquestioning nods that I experienced working with Burmese or Khmer health workers. During the 8 hours we worked together, they asked questions, challenged ideas, and helped adapt the program to match needs on the ground. I was impressed with their professionalism and commitment to introducing Clean Birth Kits, which they agreed “the mothers would be happy to use. 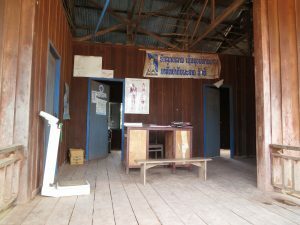 A clinic in Tahoy District. In the days after the training, we visited the nurses’ at their clinics. They are in dire need of supplies. These clinics have little to offer in terms of medicines, equipment consists of wood slat beds, and refrigeration was not available. The Clean Birth Kits Project will enable nurses to provide women with birthing supplies to be used at the clinic or at home. CleanBirth.org also funds the nurses’ travel to the most remote villages, 5-8 hours by motorcycle. They will bring birth kits and provide educational sessions to people who have never stepped inside a clinic. Having the support of the nurses, the government (District Health official) and OV staffers, who will oversee the pilot project is crucial and I have it. I trust that they will execute the program. Two young nurses. They are currently unpaid. .All of your money goes directly to the communities. CleanBirth.org has no salaried employees. In the next installment, we head into the villages to see mothers and children. Stay tuned. This post has been written by Kristyn Zalota, Founder of CleanBirth.org. To read more about her work, please check out her blog at CleanBirth.org. This post brought tears to my eyes because of how much us “westeners” take for granted! I would have died if I’d been born in Tahoy because my son was delivered by emergency c-section after which I heamorraged and needed several pints of blood to be transfused into me. Had I not had access to a hospital, neither my children nor I would be here today!! How marvellous that something as cost-effective and simple as a $5 Clean Birth Kit can help reduce infant mortality! 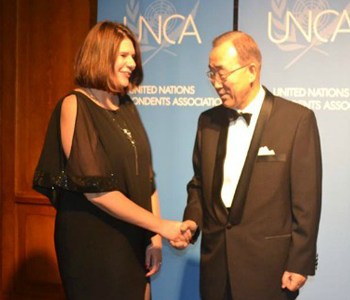 Thank you for your reply Simona! We often take for granted how access to basic medical care saves lives. I really appreciate your words of support. I hope that I can make a difference! The power of providing the basics! What a great effort to help women have safer births. Thank you for your work. And thank you for posting a comment. It helps so much to receive the encouragement of other women! What an incredible journey! I love reading about your trip and the work that CleanBirth.org is doing to help save lives, and educate women about safe birthing. Thank you for getting the word out. You are amazing!!! I love your story, Kristyn, and how you are on a maternal health mission. Totally inspiring!! 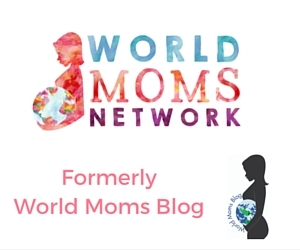 So glad you have joined us at World Moms Blog! So grateful to be a part of this amazing group. And for your particular help and ideas Jen. You inspire me too! Giving women choices!! Having once worked in this area and knowing how dedicated these individuals are to the work and people – congratulations to all the team and especially Nong and Nai for your endurance and commitment !!! What an incredible organization and person you are Kristyn! I can’t wait to hear more about the amazing work you are doing!